PLEASE READ THESE TERMS CAREFULLY. BY ACCESSING OR USING OUR SERVICES (DEFINED BELOW), YOU AGREE TO BE BOUND BY THESE TERMS OF SERVICE AND ALL TERMS INCORPORATED HEREIN BY REFERENCE. IF YOU DO NOT AGREE TO ALL OF THESE TERMS, DO NOT ACCESS OR USE OUR SERVICES. These Terms of Service (“Terms”) apply when you access or use the websites (collectively, the “Site”) of Eirene Cleaning (ECS). (“Company,” “we,” “us” or “our”), our mobile applications, and the services, content and materials made available via the Site or mobile applications (collectively, the “Services”). These Terms do not alter in any way the terms or conditions of any other agreement you may have with Company for products, services or otherwise. 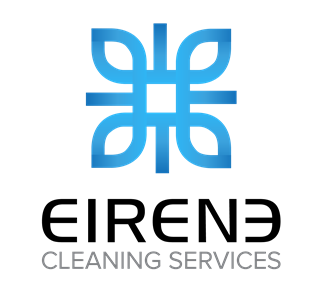 All questions or comments about the Services should be directed to reach@eirenecleaning.com.au. (c) have full power and authority to enter into these Terms and that, in doing so, you will not violate any other agreement to which you are a party. (d) immediately notify us if you discover or otherwise suspect any security breaches related to your account or the Services. (a) Price/ Payment. All quoted prices are in Australian dollars and exclude GST unless otherwise noted. Tax invoices will be sent upon payments. The price for Services will be made available via the Services at the time of payment of the applicable setup fees and one-time and/or monthly or annual recurring fees. Recurring payments will be charged on a pre-pay basis to your designated payment method at the beginning of each applicable payment period. Payments will be processed by us or a third party by credit card or debit payments and you provide your credit card or bank account details for this purpose and authorise us to make these payments. (b) Automatic Renewal. By enrolling in a Renewal plan, you agree that a Renewal fee will be billed at the price you agreed to when subscribing to the payment you provide for the then-current Renewal period on a recurring basis until you cancel. If you do not wish for your account to renew automatically, or if you want to change or cancel Services, please email us at reach@eirenecleaning.com.au. (c) Services. We reserve the right to change the terms and pricing structure for Services upon thirty (28) days’ prior written notice to you. If you wish to change or cancel our Services, please email us given (28) days’ notice at reach@eirenecleaning.com.au. Failure to provide us sufficient notice may result in the suspension of Services and an incurred cancellation fees up to or equivalent to the amount of the next monthly Renewal fee. (d) Valid Payment Methods. Only valid payment methods acceptable to us, or our designated payment processors, may be used to purchase access to our Services. By submitting your order to purchase access to our Premium Services, you represent and warrant that you are authorized to use your designated payment method and authorize us, or our designated payment processors, to charge your purchase to that method. If your payment method cannot be verified or is invalid, your order may be suspended or cancelled automatically. You must resolve any problem we, or our designated payment processors, encounter in order to proceed with your order. (e) No Refunds. All sales are final and we do not offer any refunds. (f) Errors in Charges. In the event of an error that results in an incorrect charge, we reserve the right to correct such error and revise your order accordingly if necessary (including charging the correct price) or to cancel the order and refund any erroneous amount charged. In addition, we may, in lieu of a refund as provided in this paragraph, opt to provide you with a service credit, with a value equal to the amount charged to your payment method. (g) Taxes. You are responsible for any applicable sales or use tax, duties, or other governmental taxes or fees payable in connection with your purchase. If you do not pay such sales or other tax or fee on a transaction, you will be responsible for such taxes or fees in the event that they are later determined to be payable on such sale, and Company reserves the right to collect such taxes or other fees from you at any time. The Company logos, the look and feel of the Services, and any other product or service name, logo or slogan contained in the Services are trademarks, service marks and/or trade dress of Company or our suppliers or licensors and may not be copied, imitated or used, in whole or in part, without the prior written authorization of Company or the applicable trademark holder. Any authorized use of such trademarks, service marks and/or trade dress must be in accordance with any guidelines provided by Company. Unless otherwise indicated, the Services, including all content, video and other materials on or made available via the Services, are the proprietary property of Company and its licensors and are protected by Australia and international copyright laws. Any use, copying, redistribution and/or publication of any part of the Services, other than as authorized by these Terms or expressly authorized in writing by us, is strictly prohibited. In addition, the look and feel of the Services, including all page headers, custom graphics, button icons and scripts, is the proprietary property of Company and may not be copied, imitated or used, in whole or in part, without our prior written permission. You do not acquire any ownership rights to any content, video and other materials on or made available via the Services, and we reserve all rights not expressly granted in these Terms. (e) use the Services or any content, video and other materials on or made available via the Services other than for their intended purposes. Except as explicitly stated herein, nothing in these Terms shall be construed as conferring any license to intellectual property rights, whether by estoppel, implication or otherwise. (a) You acknowledge that certain content, videos and other materials on or made available via the Services constitute the Confidential Information of Company. “Confidential Information” refers to certain information that is marked as “Confidential” or “Proprietary” that we reasonably regard as proprietary or confidential relating our courses, business, products, services, processes and techniques, including without limitation information relating to our trade secrets, business plans, strategies, methods and/or practices that is not generally known to the public and is disclosed to you pursuant to your express agreement to maintain the confidentiality of the Confidential Information. (b) Except as expressly allowed herein, you agree to hold in confidence and not disclose any such Confidential Information except in accordance with this Agreement. (iv) is made available free of any legal restriction by a third party. The duties and requirements under this section shall survive termination of this Agreement. (d) You hereby agree that any unauthorized disclosure of Company’s Confidential Information may cause immediate and irreparable injury to Company and that, in the event of such breach, Company will be entitled, in addition to any other available remedies, to immediate injunctive and other equitable relief, without bond and without the necessity of showing actual monetary damages. By submitting or posting User Content, you grant Company a nonexclusive, royalty-free, perpetual, irrevocable and fully sublicensable right to use, reproduce, modify, adapt, publish, translate, create derivative works from, distribute, perform and display such User Content via the Services and any other medium. Further, you acknowledge and agree that Company may, but is not obligated to, enforce its rights in the User Content against third-party infringers. You represent and warrant that you own and control all of the rights, title and interest in and to any User Content you provide or you otherwise have all necessary rights to grant the rights to Company that you grant in these Terms. (i) contains viruses, malware of any kind, corrupted data or other harmful, disruptive or destructive files or code; and j. in the sole judgment of Company, restricts or inhibits any other person from using or enjoying the Services or which may expose Company or its users to any harm or liability of any type. Separate and apart from User Content, you may submit questions, comments, suggestions, ideas, plans, notes, drawings, original or creative materials or other information, about the Services or Company (“Feedback”). Feedback is non-confidential and shall become the sole property of Company. Company shall own, and you hereby assign to Company, all right, title and interest, including all intellectual property rights, in and to such Feedback and Company shall be entitled to the unrestricted use and dissemination of any Feedback for any purpose, commercial or otherwise, without acknowledgment or compensation to you. You agree to execute any documentation required by Company (in our sole discretion) to confirm such assignment to, and unrestricted use and dissemination by, Company of any Feedback. (i) “Frame” our Services or otherwise make it look like you have a relationship to us or that we have endorsed you for any purpose without the prior written permission of Company. In accordance with the Digital Millennium Copyright Act (“DMCA”) and other applicable law, Company has adopted a policy of terminating, in appropriate circumstances and at Company’s sole discretion, users or account holders who are deemed to be repeat infringers. Company may also at its sole discretion limit access to the Services and/or terminate the accounts of any users who infringe any intellectual property rights of others, whether or not there is any repeat infringement. You should note that if you knowingly misrepresent in your notification that the material or activity is infringing, you may be liable for any damages, including costs and attorneys’ fees, incurred by us or the alleged infringer as the result of our relying upon such misrepresentation in removing or disabling access to the material or activity claimed to be infringing. Company may provide third-party content on the Services, including without limitation advertisements and promotional offers, and may provide links to web pages and content of third parties (collectively the “Third-Party Content”). Company does not control, endorse or adopt any Third-Party Content and makes no representation or warranties of any kind regarding the Third-Party Content, including without limitation regarding its accuracy or completeness. You acknowledge and agree that Company is not responsible or liable in any manner for any Third-Party Content and undertakes no responsibility to update or review any Third-Party Content. Your use of any Third-Party Content is at your own risk. The inclusion of Third-Party Content on the Services does not imply affiliation, endorsement or adoption by Company of any Third-Party Content or any information contained therein. Your business dealings or correspondence with, or participation in the promotional offers of, any third party responsible for Third-Party Content, and any terms, conditions, warranties or representations associated with such dealings or promotional offers, are solely between you and such third party. When you leave the Services, you should be aware that our terms and policies no longer govern. You should review the applicable terms and policies, including privacy and data gathering practices, of any site to which you navigate from the Services. (B) THE SERVICES OR OUR SERVER(S) ARE FREE OF VIRUSES OR OTHER HARMFUL COMPONENTS. YOU SHOULD USE INDUSTRY-RECOGNIZED SOFTWARE TO DETECT AND DISINFECT VIRUSES FROM ANY DOWNLOAD FROM THE SERVICES EXCEPT AS EXPRESSLY PROVIDED TO THE CONTRARY IN A WRITING BY COMPANY, THE SERVICES ARE PROVIDED ON AN “AS IS” BASIS WITHOUT WARRANTIES OF ANY KIND, AND, TO THE FULLEST EXTENT PERMITTED BY APPLICABLE LAW, COMPANY DISCLAIMS ALL STATUTORY AND IMPLIED WARRANTIES, INCLUDING, WITHOUT LIMITATION, IMPLIED WARRANTIES OF MERCHANTABILITY, FITNESS FOR A PARTICULAR PURPOSE, TITLE AND NON-INFRINGEMENT. (d) your violation of the rights of any third party. (B) IN NO EVENT SHALL THE AGGREGATE LIABILITY OF THE COMPANY PARTIES, WHETHER IN CONTRACT, WARRANTY, TORT (INCLUDING AS A RESULT OF COMPANY’S ALLEGED NEGLIGENCE), PRODUCT LIABILITY, STRICT LIABILITY OR OTHER THEORY, ARISING OUT OF OR RELATING TO THESE TERMS OR THE USE OF OR INABILITY TO USE THE SERVICES EXCEED ANY COMPENSATION YOU PAY, IF ANY, TO COMPANY FOR ACCESS TO OR USE OF THE SERVICES. These Terms will take effect and be construed in all respects in accordance with the laws of the State of Western Australia. The parties irrevocably submit to the jurisdiction of Western Australia for all proceedings arising in connection with these Terms. (a) You have any outstanding invoice or account. (b) Your account is in dispute or dispute resolutions procedure, court order, judgement, findings or determination. (c) You fail to comply with any provision in the Agreement or these Terms. (d) There is evidence of fraudulent, illegal, defamatory, offensive activities, or any activity in breach of a third party’s rights. (e) We deem your use of our services may jeopardize the operation of the service, us or our suppliers. (f) We deem any other reason as satisfactory to protect us, our staff and/or our suppliers. (g) We will notify you in writing should we notice a breach of any of the above conditions.